tumtumtumm... A giveaway! That secretly has something to do with this Python trend post. So what do you think of this python trend?! to save everything for my trip to Paris of course! Snakie snakie, hou ik wel van! Echt heel leuk al die slangenpieces! I love the snake trend as accesories like the belt and bracelet its a little statement peice. Exactly @Arden! I love that a lot too. Every brand is doing it in their own ways and you can choose by yourself what fits the most to your own style. Smart header!!! Like your blog.. Your blog is amazing! I'm really excited that I found it!! I'm totally following you now. 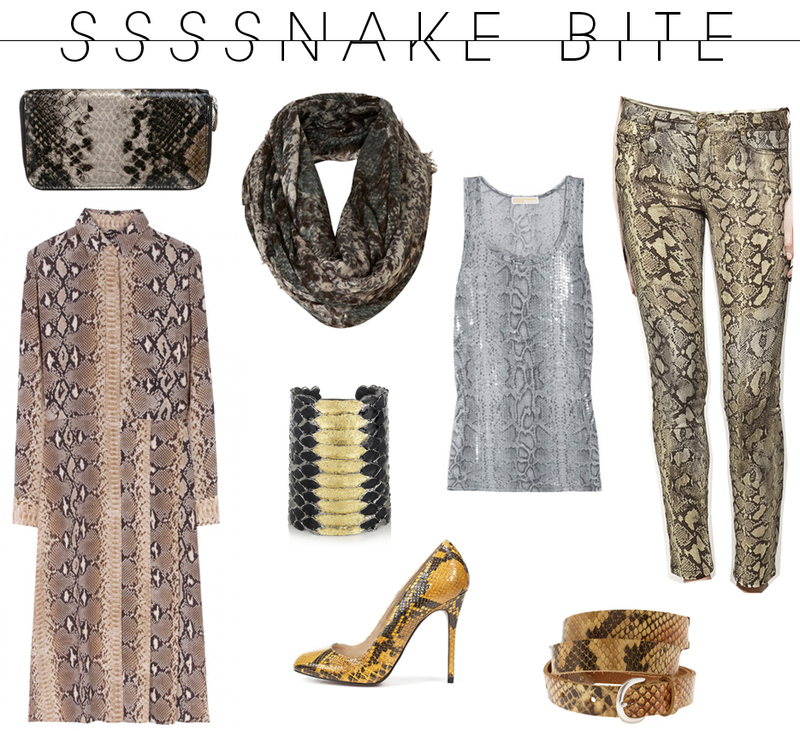 I'm not normally one for trends...but I am loving the snake skin thing! love the snake skin. great post! love your blog, totally following!